Products that you can find in the monastery. As the monastery does not have big fortune and its income are almost minimal, all the efforts for the repairs in the Monastery but also the daily maintenance of the animals are supported in the donations of believers and in the sale of certain commodities that are produced in the Monastery. Here you can see some of the products that are produced in the Monastery and you can acquire helping and supporting in this way the efforts for the continuation of the work of father Daniel. Natural Pharmaceutical and Aromatic Herbs. Also in the Monastery you can find various handmade souvenirs like small crosses, icons, etc. 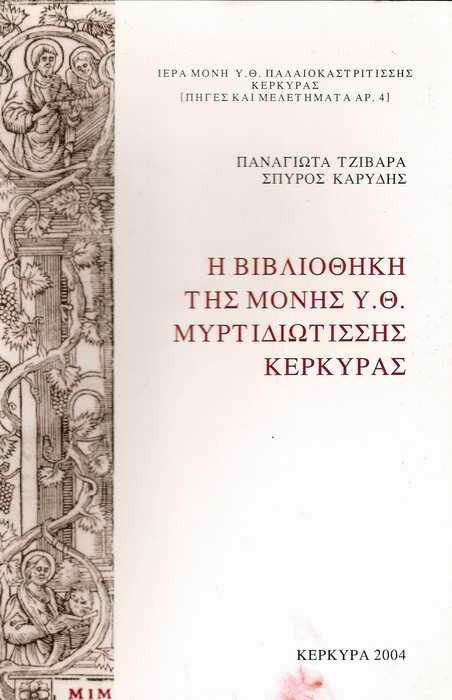 As well you can find two books published under the supervision of the Holy Monastery of Paleokastritsa, which the first of them has the title “CHRONICAL MEMORANDUM” and deal with the history of the Mirtiotissa monastery, while the second is dedicated, as witness and his title “THE LIBRARY OF THE MONASTERY OF VIRGIN MARY OF MYRTIOTISSA OF CORFU” in the books and in the documents that were found in the library of Monastery.